5* jazz and 5* ironhide? Is 5* hot rod good? 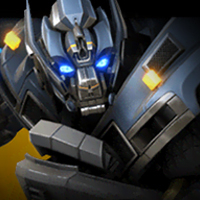 First r5 4* prowl or ironhide? No holiday calendar this year? Which bot to rank up? Which bot needs a buff the most? Which scout to focus on? Which optimus is the best? Which bot to focus on getting to r4? Is hound worse than the sharks?